mytaxi is recruiting for an Information Technology (IT) Project Manager (Workday HRIS) located in Hamburg on a one year limited contract. The Project Manager is responsible for providing project management for the development and implementation of Workday HRIS solutions on a european level addressing mytaxi’s business requirements. Be overall responsible for the definition and execution of project deliverables and the day – to – day operations of the entire project, including: planning, risk identification/mitigation, issue management, status updates, data migration, testing, training etc. A high-level understanding of the business processes and functions. Follows best practices for project management; helps develop standards, processes around project management and prioritization. Expert experience identifying, developing, customizing and implementing vendor software, particularly Software As A Service (SaaS). Ability to work independently and collaboratively, as required, in a fast-paced, matrixed, team environment. 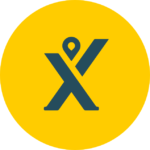 Since September 2014, mytaxi has been part of Daimler Mobility Services GmbH (part of the Daimler Group). In July 2016, mytaxi announced a merger with Hailo, the leading taxi app in the UK and Ireland, an important step in becoming the leading taxi e-hailing app in Europe. Mytaxi works with more than 500 employees in 26 European offices and is available in more than 150 European cities. Eckart Diepenhorst is acting CEO of mytaxi. Join a fun, global team of top engineers and seasoned entrepreneurs for the challenge of a lifetime. We strive to be passionate yet practical, driven but focused and visionary but humble. Our employees are routinely challenged to solve large-scale, highly complex technical problems. As a new “family member” you will be stretched, but will learn best practice at scale in our creative and fun environment!